Professional tools and machinery from Japan - Miyazaki Tools Machinery Co., Ltd.
Home » Hardware & Mechanical Parts » Professional tools and machinery from Japan – Miyazaki Tools Machinery Co., Ltd.
Professional tools and machinery from Japan – Miyazaki Tools Machinery Co., Ltd.
Company Name: Miyazaki Tools Machinery Co.,Ltd. Miyazaki Tools Machinery Co., Ltd. established in 1957, provide worldwide professional tools and machinery from Japan. 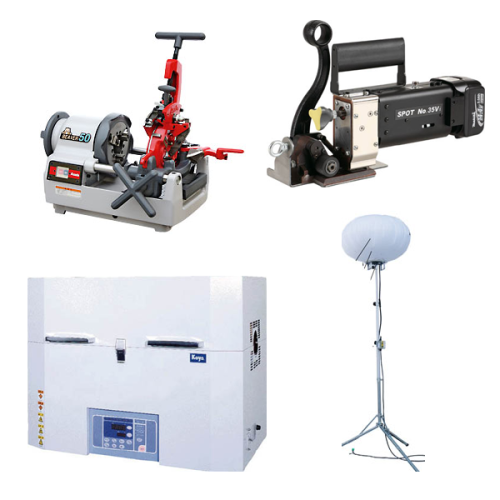 Since 1957, Miyazaki Tools Machinery has been selling a wide range of products such as tools, machinery and industrial equipment used in factories, offices, laboratories and etc. Their range of business extends not only Japan but also to some overseas countries. Check their product categories below.